By Juan Flores: Saul Canelo Alvarez says he’s annoyed by Gennady Golovkin and his team because they were focused so intently on money during the recent negotiations rather than respect. Canelo (49-1-2, 34 KOs) says he doesn’t understand why GGG is upset at him, considering that he gave him his biggest payday of his career. There’s bad blood between the two fighters from their 12 round draw from last September. Both fighters believe they won, but the judges had the final say. They felt that neither had done enough to deserve the win. Without him, Golovkin wouldn’t have made anywhere near the same amount of money for his other fights. Canelo says he’s annoyed with the trash talking that Golovkin has done since their previous fight last year in September 2017, and for that reason he doesn’t want any face offs until the week of the fight. The two are scheduled for September 15 on HBO pay-per-view at the T-Mobile Arena in Las Vegas, Nevada. Golovkin made a big deal about getting his 45 percent, and was even willing to walk away from the fight with Canelo if he didn’t get his split that he wanted. Canelo sees Golovkin as too money focused and not truly interested in the competition. Golovkin is pleased with the purse split that he’s getting for the September rematch with Canelo, but the bitter negotiations have spoiled things between the two fighters. Canelo no longer wants to be cordial with Golovkin. In fact, Canelo wants nothing to do with Golovkin until the week of the fight. This means there will be no face offs until the last week when they meet for the final news conference to discuss their September 15 fight. 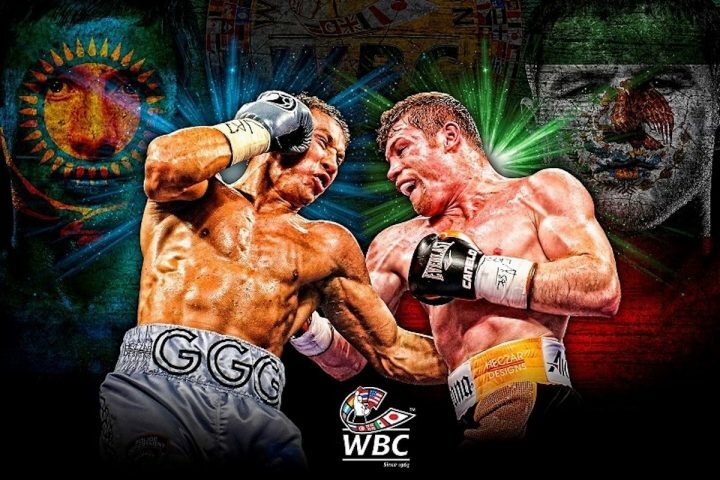 With all the publicity from the previous Canelo-GGG fight last September, there’s less of a need for the two to hype their September 15 rematch as much as they did the first fight. The boxing public already knows both fighters well, and it won’t require as much work to get fans interested. Golovkin (38-0-1, 34 KOs) refused to sign the contract for the rematch with Canelo, 27, unless he was given a 55-45 split. At the end of the day, Golden Boy Promotions CEO Oscar De La Hoya says he helped make the fight by coming up with the money to help GGG get his 45% split. Golovkin got his wish and is now signed for the rematch. Golovkin’s split for the first fight with Canelo was 30 percent. The reason for that is because he’s not a PPV fighter, and his only previous fight on pay-per-view against Daniel Jacobs last year did poorly on HBO. Canelo was the draw for the first fight, and he remains the draw for the second. Canelo and Golden Boy didn’t have to give Golovkin a 55-45 deal, but they wanted to make the fight to please the boxing public, so they agreed to give GGG his 45 percent. Canelo says Golovkin is a hypocrite by the way he talks about being focused on the sport, but then going after the money. how he tested positive twice for clenbuterol, despite the fact that he passed the hair follicle test. Canelo’s positive tests were the result of having eaten contaminated beef in Mexico, he maintains, and this is very plausible because of the low levels of the substance in his system. It’s widely known clenbuterol is a problem in Mexico. Former two division world champion Canelo plans on training in San Diego, California with his trainers Chepo and Eddy Reynoso. Canelo’s surgically repaired right knee is fine, and not giving him any problems. Canelo will be ready to start training on July 10 in San Diego. Canelo is working on his conditioning for the rematch, as that was his main problem last time. Canelo was tired in many of the rounds in the second half of the fight, and this kept him from running away with the fight. It looked like it was going to be a one-sided fight after two rounds with the way Canelo was easily beating the slower Golovkin. Canelo already knows what game plan he’s going to use to beat Golovkin. He just needs to make sure his conditioning is there so that he can carry out his game plan. Canelo is going to have a lot of good sparring in preparation to get his conditioning at 100% for the rematch. Last time, Canelo landed with better accuracy and the cleaner, harder shots. Much was made of Golovkin’s power before the fight, but it was Canelo who looked to be the more powerful of the two throughout. When Canelo spoke the truth after the fight in pointing out that Golovkin doesn’t hit as hard as he thought he would, he was booed by the boxing fans at ringside at the T-Mobile Arena in Las Vegas, Nevada. Canelo only told the truth in saying that Golovkin isn’t the huge puncher that many fans believe him to be. Golovkin came into the fight with Canelo with a high percentage of KOs on his resume, but the victories had mostly come against weak opposition and not the superstar fighters in the sport. Canelo says he plans on making Golovkin eat his words when he gets inside the ring with him in the rematch. All the trash talking that Golovkin has done will come back to haunt him on September 15. “The truth is that this fight means a lot to me because of all that has happened and all that has been said,” Canelo said. “I will prove with my fists that I am the best, and Golovkin will eat all of his words and speculations. I will demonstrate who is the best when I defeat Golovkin soundly on Sept. 15 during [Mexican] Independence Day weekend, and I’ll make it clear that Mexican boxing is the best,” Canelo said. Canelo wants to beat Golovkin in a convincing manner that leaves no doubt in the minds of the boxing public who the better fighter is of the two. This time there will be no controversy, as far as Canelo is concerned.